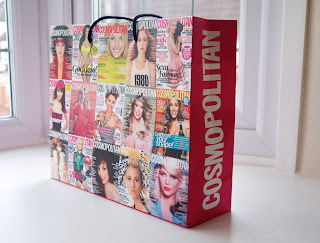 On Tuesday 16th April I attended an event hosted by Cosmopolitan Magazine in London. It was their first ever career masterclass; consisting of a panel of 'insiders' sharing advice for how to pursue a career in the media. The event consisted of Louise asking the others various questions regarding careers in the media; including, how they got started, what are the pros and cons and advice they had to share on their experiences. Overall I found the event very insightful. As someone on the brink of finishing university and considering their future, it was quite inspiring. Although the panellists seemed to admit that getting a job in the media was different when they were starting out (i.e degrees meant more then and experience was slightly easier to come by! ), it did not detract from their advice or their ability ramp up my enthusiasm for pursuing such a career. They were honest and shared their thoughts and experiences. An added bonus of attending was the amazing goody bags everyone received! There were so many lovely little products, some of which I will be sure to review in the near future. Highlights from the goody bag included; Benefit's 'They're Real' Mascara, a matte lip gloss (I have been after one for ages!) and a big bottle of Palmer's Cocoa Butter body lotion (I LOVE the smell of cocoa butter!). They have a similar masterclass next month focused more on blogging, seeing as this one was so interesting I am definitely considering getting a ticket for that one as well. It just depends on whether or not I can afford to take the time away from exam revision!